5 Bed • 3 Bath • 3,097 Sq. Ft. (*Measured) Sq. 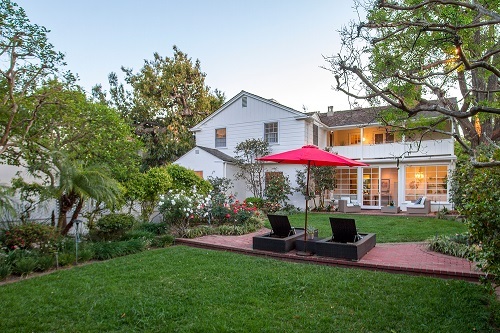 Ft.
On the open market for the first time since 1965, this lovingly maintained & updated classic Colonial is located in San Marino�s sought-after Mission District. 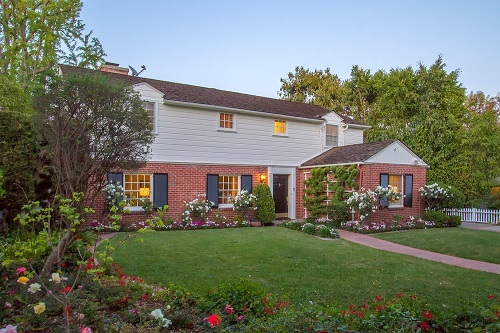 A manicured front yard with rose gardens framed by a white picket fence welcomes one with a brick walkway that leads to the front door. 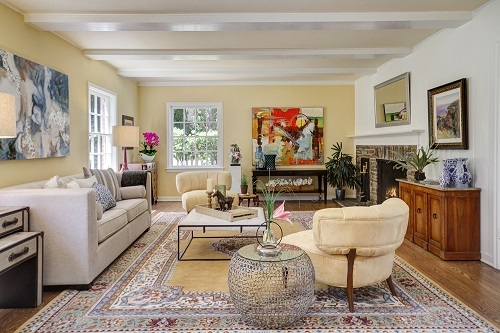 To the left of the entry is an elegant living room showcasing a handsome fireplace and wood beam ceiling. Adjacent to the living room is a sunlit garden room that has built in speakers, brick floor, and walls of French windows and doors that join the indoors and outdoors seamlessly. It is a true four-season room! 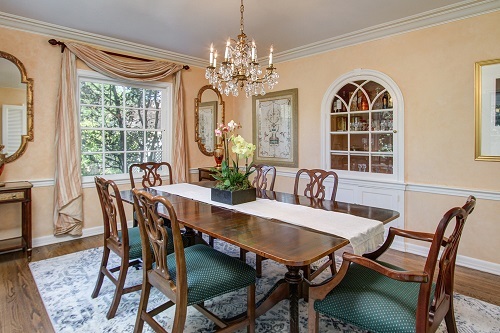 The formal dining room is highlighted by chair rails, crown molding, a built-in china cabinet, and picture windows perfectly showcasing a peaceful view of the beautifully landscaped backyard with multiple flower gardens. 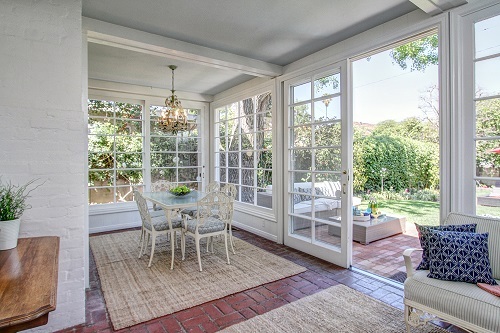 A set of French doors that accesses the garden room creates a wonderful flow for entertaining. To the right of the entry is the comfortable den with wood panel walls and built-in bookcases. 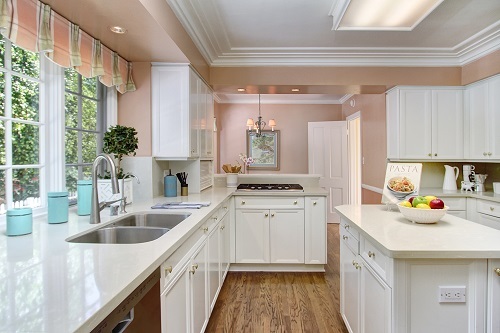 A charming breakfast area opens to the modernized kitchen featuring new Caesarstone countertops and stainless steel appliances, a center island, and garden windows. Completing the main level is the laundry room with access to the side yard, an office or fifth bedroom, and a three-quarter bath with newer frameless shower door. There are four bedrooms upstairs. 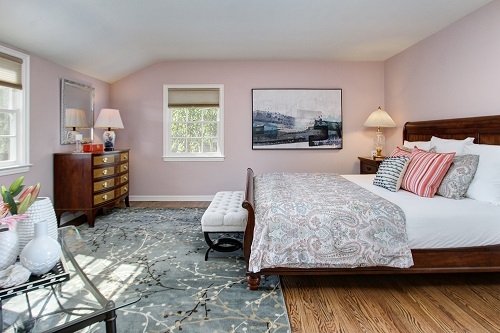 The private master suite presents double dressing rooms and a three-quarter bath with newer frameless shower door. An adjoining covered terrace with ceiling fans boasting a lovely view of the backyard is a special retreat, also accessible from the hallway. 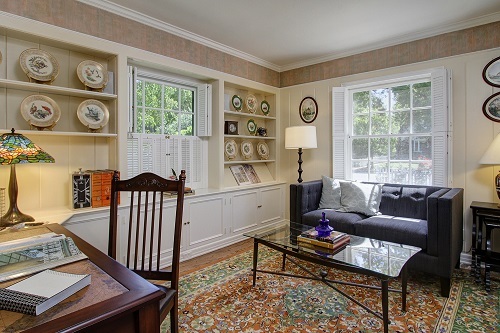 The other three bedrooms have great custom closets and built-in book shelves. 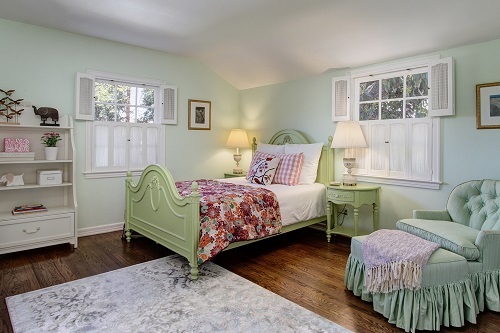 A bright full bath with double sinks is centrally located and concludes the second floor. The lushly landscaped backyard features mature and colorful plantings, two grassy areas, brick patios, and a majestic ginkgo tree. Additional features include an updated central alarm system with camera, central heating & A/C system, automatic wooden gated cement driveway with ribbons, and a detached finished two-car garage. This special home sweet home reflects the care and true pride of ownership and awaits a new lucky owner to carry on the legacy!